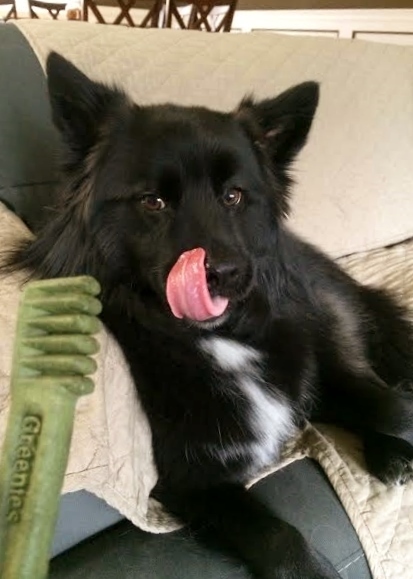 Teton has tried quite a few dental bones in the past, but one of his favorites has always been Greenies. He’s been getting Zuke’s Z-Bones for the past few months but when Chewy.com contacted us recently to see if we’d like to receive a package of Greenies in exchange for a review, we jumped at the chance. 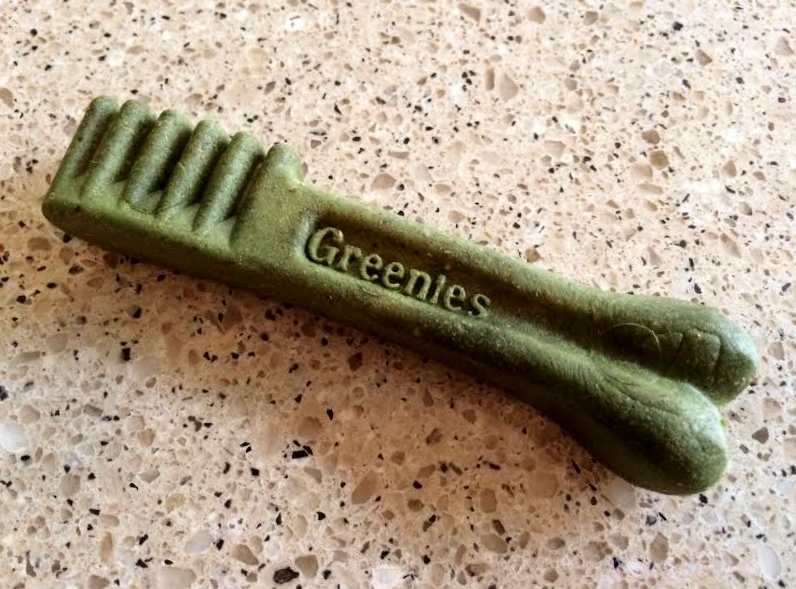 Greenies are are dental chews (available for both dogs and cats!) 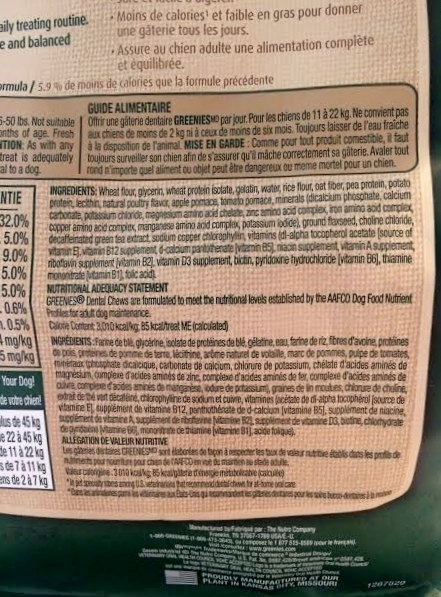 that were designed to aid in the elimination of tarter, plaque, and bad breath. 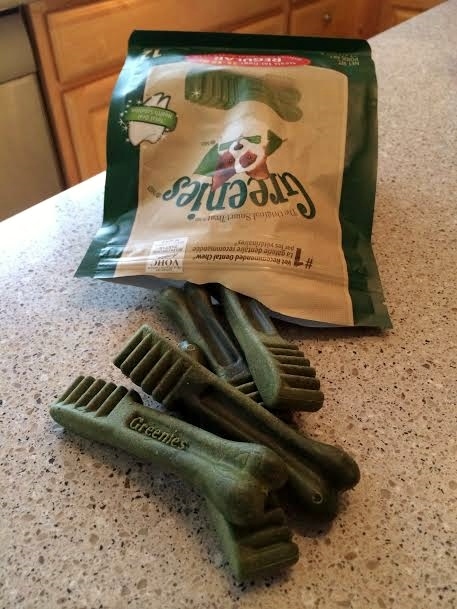 Greenies are easily digestible and one Greenie a day supports healthy teeth and gums in both dogs and cats. 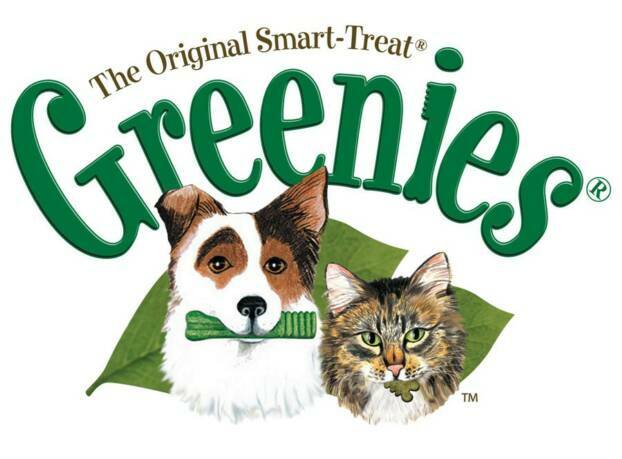 Greenies come in four sizes – Teenie, Petite, Regular, Large, and Jumbo. 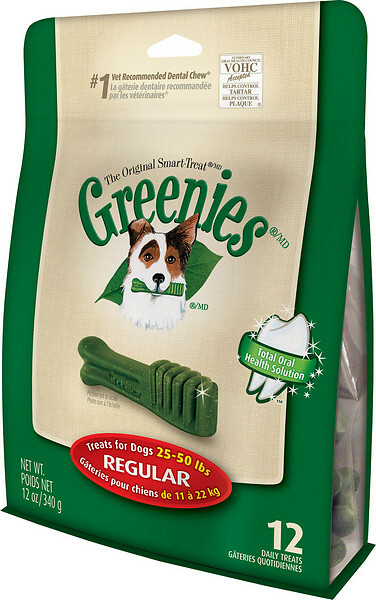 The size Greenie you purchase is based on your dog’s weight. Teton weighs roughly 41 pounds so he eats the Regular Greenies, which are perfect for dogs between 25 and 50 pounds. I like Greenies because they take much longer to chew and break apart than other treats. I know Teton is getting a good teeth cleaning when he eats a Greenie because it’s obvious that the Greenie, while not rock-hard, cleans and massages his teeth while he works hard to break it apart. There is one thing that I don’t love about Greenies. Um, yikes. I have a headache. That’s a lot of crap that I can’t pronounce and don’t recognize. For this reason, if given the option, I prefer to give Teton either Blue Buffalo Blue Bones or Zuke’s Z-Bones, which have a much smaller ingredient list that can be easily recognized. Regardless of what type of dental bone you get your dog, providing he/she with a treat that improves oral hygiene is a good thing! If you aren’t into the dental bone thing, other options for improving your dog’s oral hygiene could be brushing his/her teeth or providing raw bones or things like bully sticks. Check out Chewy.com’s entire line of dental care products by clicking here. Do you have plans for the Superbowl? 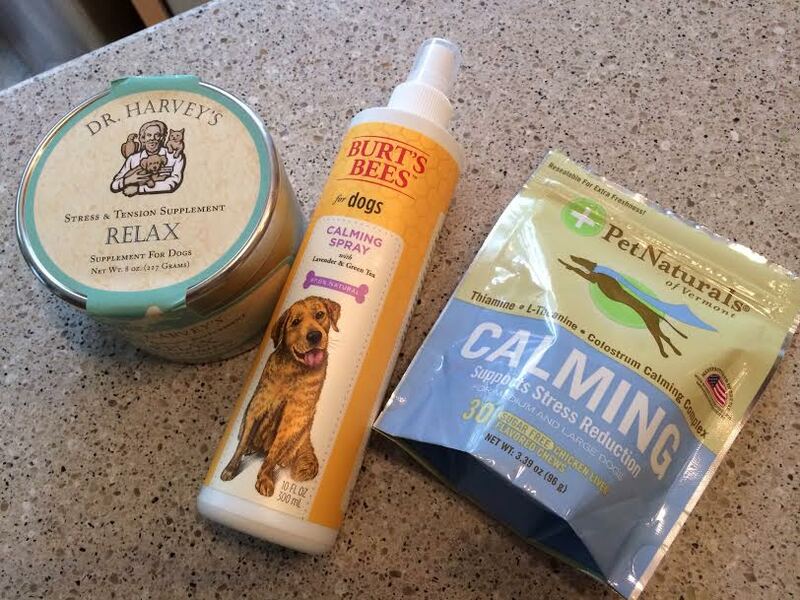 I’m getting our arsenal of calming goodies ready for Teton, as we’ll have some loud and rowdy people at our house for what should be a pretty exciting game. On that note, I’m going to climb into bed to fight this cold that just snuck up on me. Posted on January 31, 2014 by Shannon	This entry was posted in Medicine Cabinet, Treat Jar. Bookmark the permalink. Henley will be bringing his Thundershirt to the game. I bought Sadie Mae (the cutest kitten…alright cat!) Greenies. She likes them. I’ll see what the vet says about her teeth. Might have to see if I can find something for cats with fewer ingredients, we’ll see!